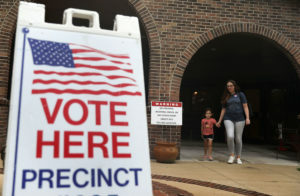 Florida voters are casting ballots Tuesday in primaries for the Senate, House and governor’s races. The competitive Senate contest pits incumbent Democratic Sen. Bill Nelson against outgoing Republican Gov. Rick Scott.